Traveling to Italy can be expensive and for most of the people out there, a once in a lifetime opportunity. Then again if you are visiting Italy or any part of Europe from India (like me), everything gets multiplied to at least 75 times because the Euro is a lot higher than the Rupee (1 Euro is 80 Rupee currently). That’s where we lose a lot and everyone prefers to travel to Italy on a budget. This thought motivated me to share the most simple, obvious and important tips on saving money in Italy. Hope they help! 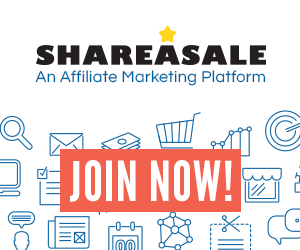 Want to save money on transportation?? Walk walk walk. Be prepared to walk a lot when in Italy. But it is therapeutic. Honestly, I can count the number of times I’ve taken the taxi (luggage woes) so in my opinion, the taxi should be ditched unless really required! Italy has such beautiful corners that only by walking can you explore the extraordinary. So make the most of exploring by walking and then stop for a picture, sit in a cafe, enjoy the little things. This will definitely save you money! And unless you want to get sore feet from walking on cobbled streets, buy a comfortable pair of shoes before you head to Italy! Don’t rent a car because someone said that’s the only way to see Italy. If you are on a budget, take regional trains for your city travel. Train journeys are picturesque, fun and fast and there are a fair number of options for discounts on Trenitalia. In Italy, train tickets can be booked 120 days in advance! Remember that a journey from Milan to Rome or Verona to Florence can easily be done via train because these cities are not on the opposite ends of the country but a journey from Turin to Palermo is not only impossible via train but also tiring with several train changes at time. In that case opt for the plane and fly from one side to another. Use Regional trains (Regionale) for your journey because they are cheaper! Frecciarossa and Treno are fast but costlier! Also note that many towns in Italy (especially those pretty hill top towns) do not have a train station in the city centre. So there is usually a long walk or bus involved to get to the centre of the town. Hence, choose your towns wisely when you travel, lest you regret. If you have bought tickets online, carry a copy of your ticket in your phone or take a print out. However, if you buy from the vending machines at the station, “validate” at the green colored machine on the platform. Not doing so can lead to a fine of over EUR 100 or more! Additionally, use the Trenit app like I do. This helps to know train schedules from the phone and is quick and easy to use. For instance, down below I’ve used the Trenit website to find options of train from Roma to Milano and it gives details as per time, price and duration. Neat, isn’t it?? if it’s an authentic restaurant you won’t see any waiter standing outside and asking you to come to eat. Unfortunately there are many places in Italy with a tourist menu and that visit should be a big NO NO. The food will be average and the place sub standard. Instead, go to a place where you would probably spot locals or simply a Pizzeria where pizza ranges from EUR 5-10! It is the best meal and not only is your stomach happy but you also save money! You can also go for Pizza al taglio (pizza by the slice) and combine it with a bottle of beer from the supermarket. Other than that, there is the option of cooking in your apartment too! If you aren’t into history and are traveling to Italy for the food and experience, skip the tours. They can be expensive. Don’t do what everyone is doing. Instead, focus on the free monuments, parks and piazze. Most of the churches are free, unless specifically stated, and they not only provide shade from the sun but are a haven for Italian art. Everything is a personal choice! I’ve noticed “follow the herd mentality” in travel but I would implore you to do what you want. Travel as it suits you. If you want to see Italy in 5 days, do it! IT IS YOUR TRIP!! Water is not free in any restaurant in Italy (unlike India) so prepare to add that charge of water in your trip. Of course in bigger cities such as Rome, water is in abundance and free because of the many fountains in the city and helps you save the money for that extra bottle(s) of water. Just remember to keep an empty bottled water and make use of the free fountain water. The tap water in Italy is safe to drink too but don’t rely on it! Don’t sit outside a Bar to have your coffee every time in Italy. If you are budget conscious, go to the counter and pay for the coffee you want. Once paid, show the receipt to the Barista and have your coffee standing there itself. If you sit outside, you will be charged. I always do a mix of sitting outside and inside because sometimes you also want a view on your vacation with your coffee. After all it’s ITALY! Carry coins and cash when you buy your coffee because it is uncommon to pay for coffee via cards in Italy. 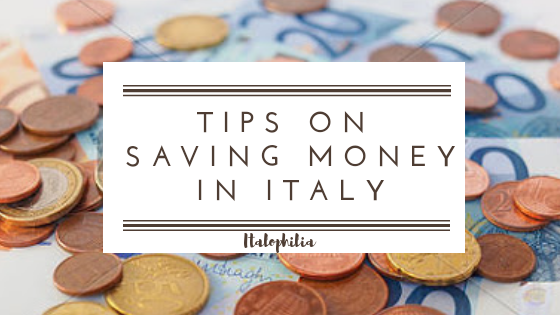 Hope these tips to save money in Italy helped you! Please consider that any travel in Italy done during the months of May- August, will be costlier than usual. You should always keep an open mind and consider traveling in the off season. There are lesser crowds, cheaper air fares and better experiences (unless you are prepared to pay high prices and visit in the summer!) I really enjoyed this post by Trip Savvy on saving money in Italy and the bifurcations of the Big 3 cities of Italy are definitely worth reading! Header picture is a stock photo. Hey thanks Robert. I’ll have a look at your book. Have a great evening! Yes! These are all great tips. I would add, look into local events (on Facebook and Google) and see if there are any free outdoor events while you’re in the city. For example in the summer in Rome, we have outdoor movie showings for free and outdoor concerts open to the public. Provided that you read (and understand) Italian, when in big cities always get a copy of free-press magazines. They are packed-up with things to do/see so you can choose the events that are GRATIS (i.e. free). As for food, never never never stop at restaurants/bars/cafes that show photos of their food: they are tourist traps! Instead, walk a little bit off the beaten tracks and look for trattorias where English is NOT spoken: you’ll get the chance of practising your Italian, enjoy mouth-watering dishes and become friends with the waiters. In smaller towns the best thing is to ask the people for the best place for a dinner: they rarely go wrong. Yeah if only everyone knew that. Hence the post!! 🙂 Great tip on the free magazine. Great tips. I think walking is the best way to discover a new place. Absolutely and also probably the best way to experience Europe in general. Thank you Jennifer 🙂 I am happy you found them useful. I always seem to walk miles in Italy. Cars about Italian cities are a terrifying experience and there is always so much to see on the streets: architecture, people, pop-ups. Great post Ishita. I’m gonna use all the tips for my Italy trip(whenever that happens). And the point about walking is something I couldn’t agree more with. Ive always seen walking as a great way to see a place,save money and getting your daily workout done. Plus you somehow get to know the city directions very well. Very good tip on the free Sunday 🙂 I have taken walking tours in every country except Italy 😛 Maybe I should remedy that. It’s an excuse to return as soon as you can 😁😎. In winter, accommodation in Sicily and in the south can be quite affordable because there are so many holiday homes only used in summer. In Sicily, I rented a house by the beach for 200 EUR/month between October and March. In July and August, on the other hand, prices in the south and on the islands are triple. Avoid these months completely, if you can! That’s awesome!! May I know in which place?? nice post. I hope you have enjoyed the country… it’s worth a visit… always, but I am a fan of the low season as well! Thanks Kathryn 🙂 Yes and its so handy with your own bottle. Thank you!! I’m glad they are useful.